Stop the talk about Kansas having a spending problem. It’s not true, and our lawmakers have just shown how false that claim is. The Senate Ways and Means Committee has passed a FY 2016 general fund budget with expenditures set at $6.478 billion and the full Senate adopted that budget. Although the House has not voted on a budget yet, the House Appropriations Committee budget position sets spending at $6.477 billion. Compare the spending in the Senate budget — $6.478 billion — to the FY 2016 official revenue estimate — $5.811 billion. That’s a gap of $667 million. Wow! If Kansas has a spending problem, why did the Kansas Senate, currently a very conservative body, vote to spend $667 million more than they expect to receive? The Senate-passed budget is not lavish. A clear goal of Senate lawmakers was to crank down expenditures to the lowest possible level. Yet, they still propose spending $667 million more than they take in. The budget puts schools on a block grant, an approach that means cuts and problems for many school districts. University funding goes down. State employees who have foregone salary increases in recent years get nothing again. If spending is the problem, lawmakers have another $667 million to cut out of the budget in FY 2016. Good luck. Half of general fund spending in the Senate budget goes to school finance, where a cut means reducing the newly passed block grants. Another 22 percent covers the state share of Medicaid, an increasing cost that lawmakers have little choice but to pay. The Senate allocated 12 percent for higher education, 6 percent for public safety, and 6 percent for other human service programs — none of which are easy to cut, and certainly not to the tune of $667 million. We don’t yet know how lawmakers will pay for expenses in FY 2016 and FY 2017. Some legislators are hoping the official revenue estimate will go up when estimators do revisions on April 20 — but it’s more likely to go down. Here’s the bottom line: To be financially healthy, ongoing revenue must be equal or greater than ongoing spending. If Kansas spends $6.478 billion, then the state needs at least $6.478 billion in revenue. If spending will grow in FY 2017 (and it will), then revenue must also grow. Money transferred from the highway fund is not ongoing revenue. It’s a short-term patch for the general fund that requires offsetting cuts to road maintenance. The state has a revenue problem that will not fix itself. Lawmakers have to face up to the fact that they must make revenue match expenditures. Unaffordable income tax cuts caused the problem. That’s the place to look for a correction. 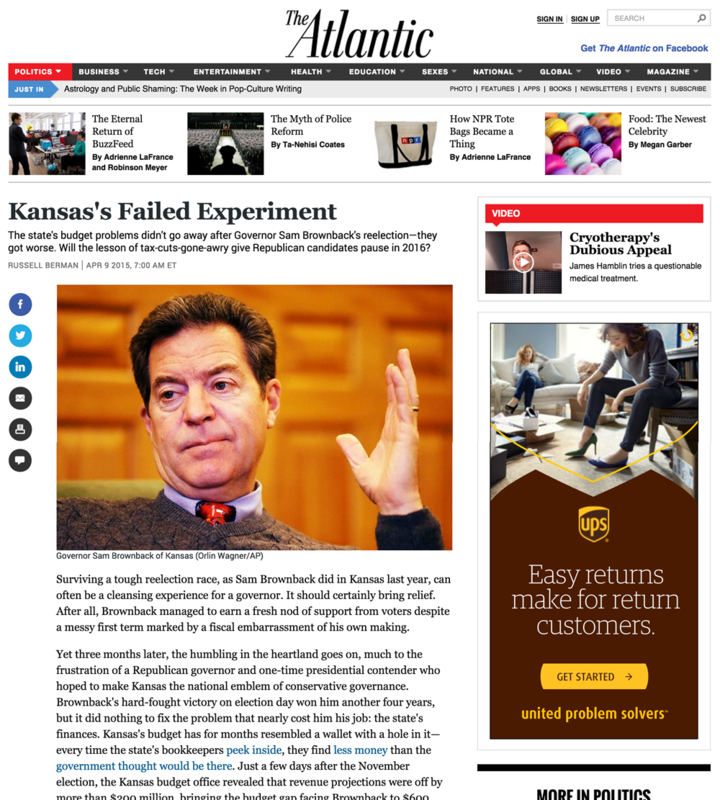 — This post first appeared on the Kansas Center for Economic Growth website on April, 9.